The Purple Scarf: Explore The World: South America or Bust! How many things have you crossed off your bucket list? Do you have more than one bucket list? I myself have several bucket lists - career, family and travel are just a few of my lists. My travel bucket list pretty much includes every place in the world but there are a few places near the top that I really want to visit. I traveled a lot in my twenties and some of the places have been crossed off like Antarctica and Rome, but I haven't left the country in almost ten years. So that's why I'm so excited to be leaving on one of my bucketlist trips tomorrow! I'm leaving for a three week trek through South America! I fly into Lima, Peru Monday night and I fly out of Buenos Aires, Argentina on Saturday February 27! Did I mention I'm excited??!! I decided a few months ago that I needed to go on a trip, to find some perspective in my hectic life, and plus I really really miss traveling. 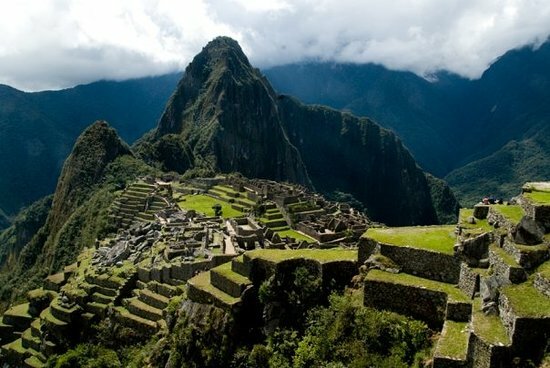 I've always wanted to visit Machu Picchu, so a few weeks ago I just made up my mind and booked my flight. The last few weeks have been a whirlwind of work and errands, trying to finish the huge to do list I had to complete to go on this trip. I finally had to decide to trim the list down so I wouldn't burn myself out before my trip. I have no set itinerary, I just know that I fly into Peru and 19 days later I fly out of Argentina. I'm not going with a group, and just have a list of places I want to visit like the Salt Flats in Bolivia and Machu Picchu in Peru. And I'm carrying everything on my back and going where the wind takes me. Don't worry I will not neglecting The Purple Scarf, there will just a few blog posts for the rest of February and make sure you follow along with me on my South American adventure on my Instagram and Twitter accounts. And I will definitely be writing about my epic journey once I get back to Canada. P.s! : Even though I'll be in another continent for the rest of February, I'm still in the know about what's happening in Toronto! Please visit my What's Happening Page or Explore Toronto link in the menu to the right to get info and ideas on what to do in Toronto!